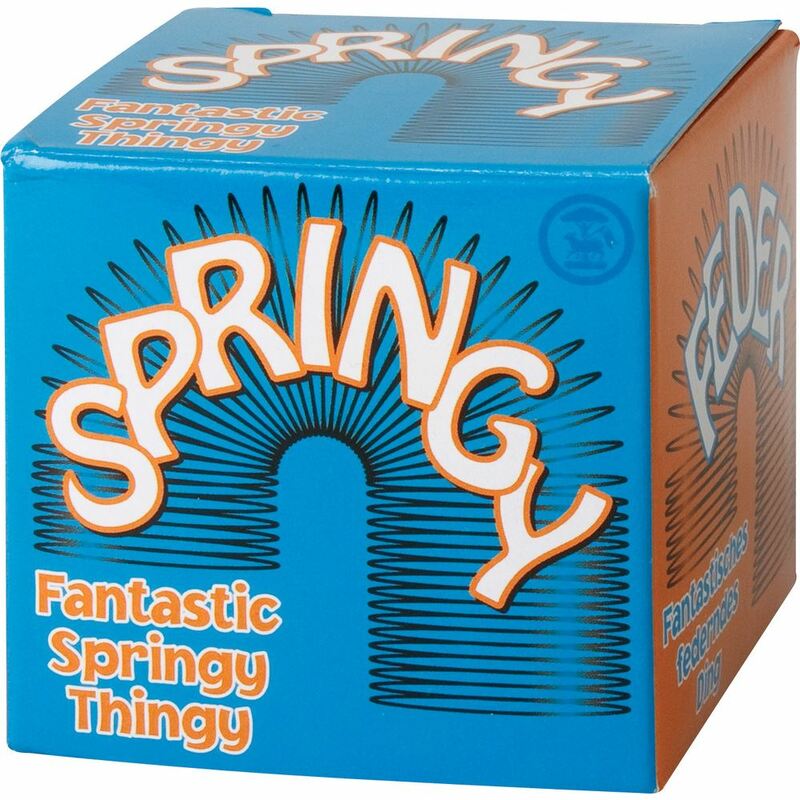 Often called a springy or slinky. 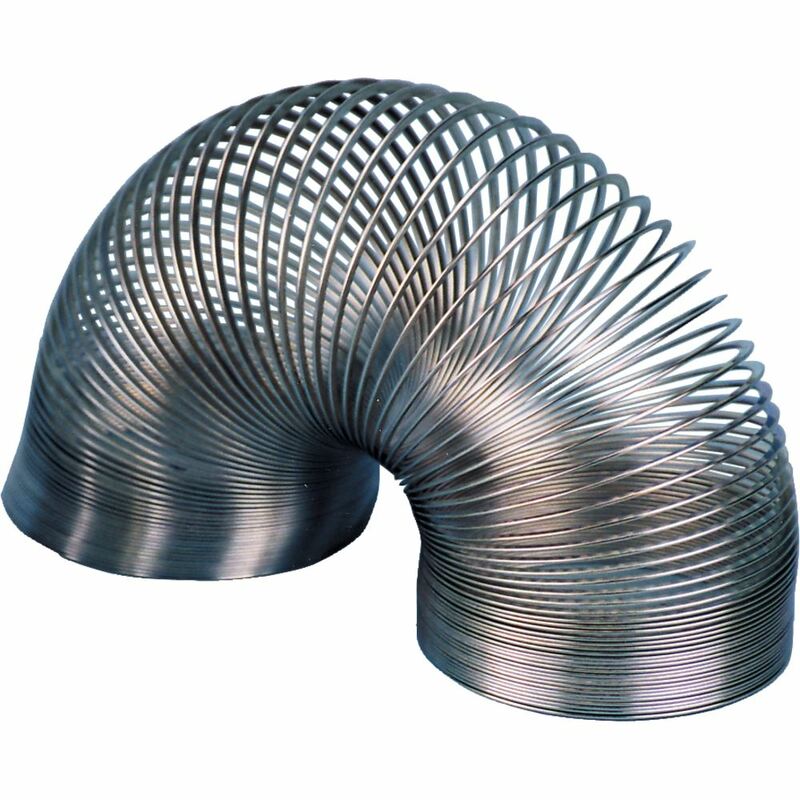 It is a loosely coiled spring which can be satisfyingly poured from hand to hand or even made to 'walk' down steps. 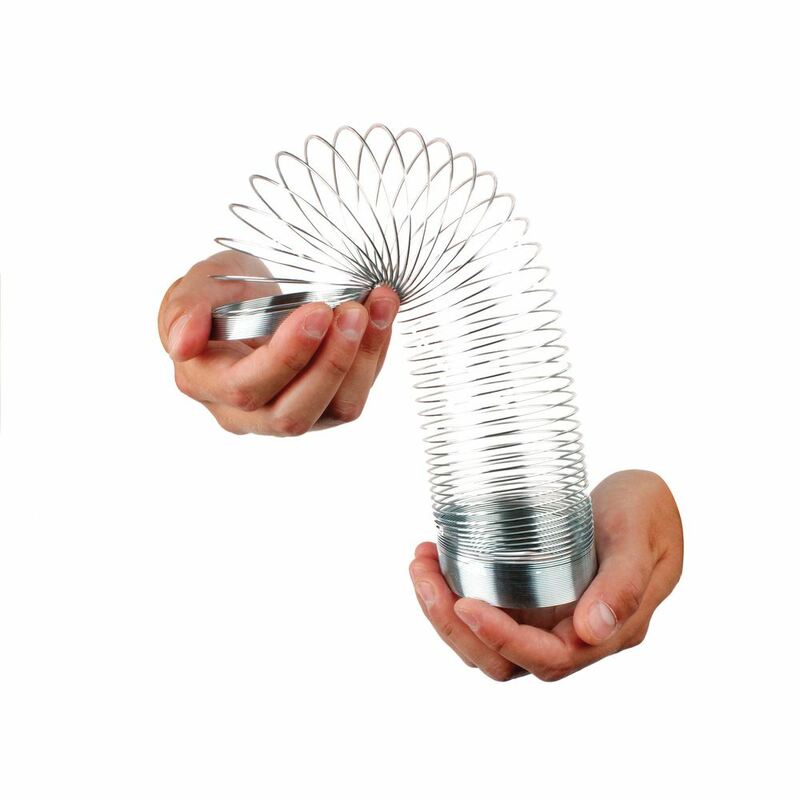 The slinky/springy comes in two pre-assorted colours, Silver and Bronze. 7cm in diameter. A classic toy.